For five days in March, more than 400 bands infiltrate one city’s clubs, bars and makeshift street stages. 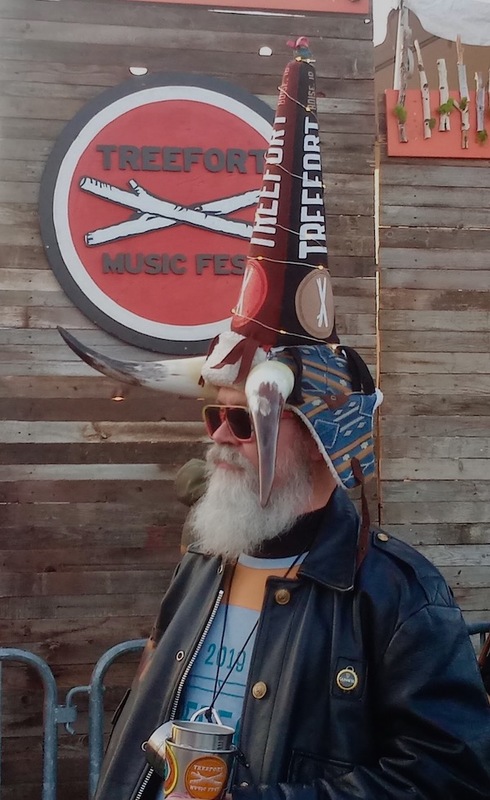 No, we’re not talking about Austin’s South by Southwest — this is Boise’s Treefort Music Fest, the City of Trees’ annual stab at raising awareness about indie bands of every ilk. While the city is modest in size, its corporation-averse music festival is anything but: It’s a welcome overdose of concerts for music heads throughout the Northwest (and a massive annoyance to locals who savor the status quo). The festival is intended both to draw rising national talent to Boise and showcase what the city’s own music scene has to offer. And, as it occurs just as brisk breezes replace patches of ice in the downtown area, the spring-timing couldn’t be better. 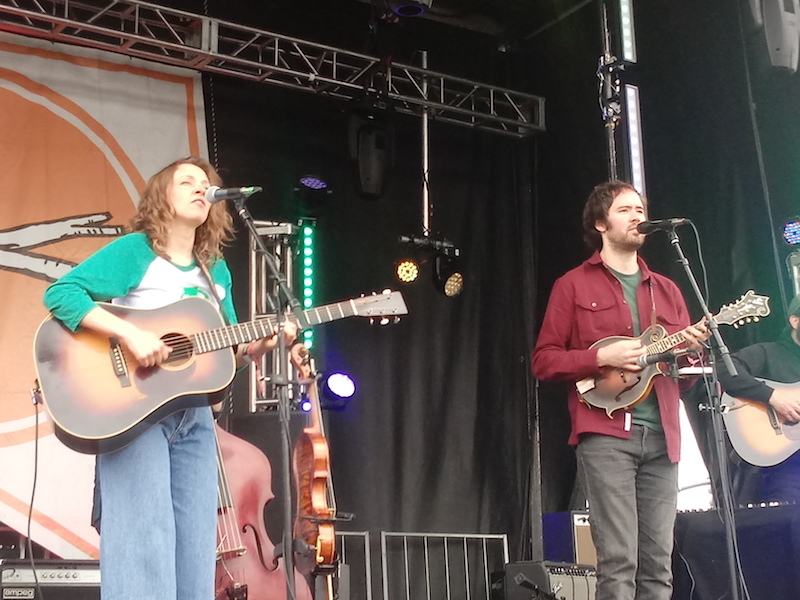 This year’s edition of Treefort featured big names like Liz Phair, Dan Deacon and Built to Spill; breakout acts including Toro y Moi, Vince Staples and Mandolin Orange; and heavy hitters Black Mountain, American Football and Low. 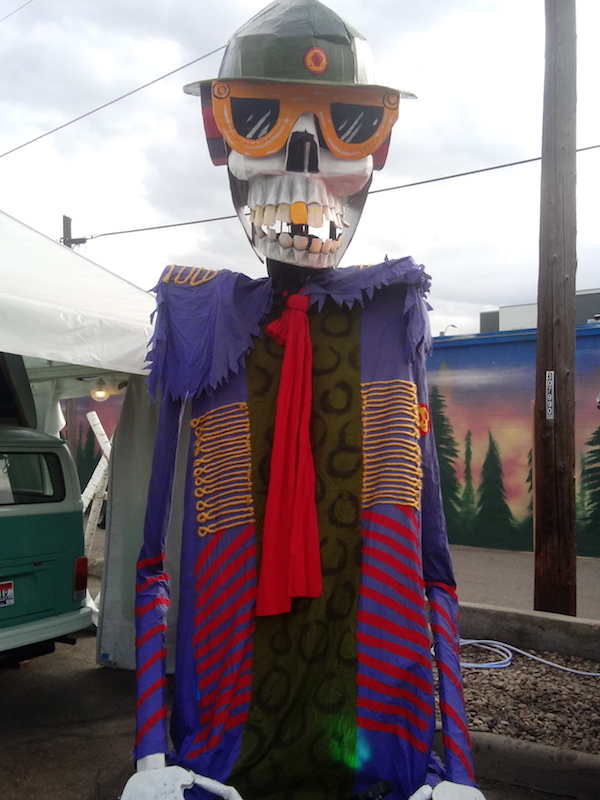 Also participating were hundreds of local bands, many of which use Treefort as their single opportunity of the year to play live. 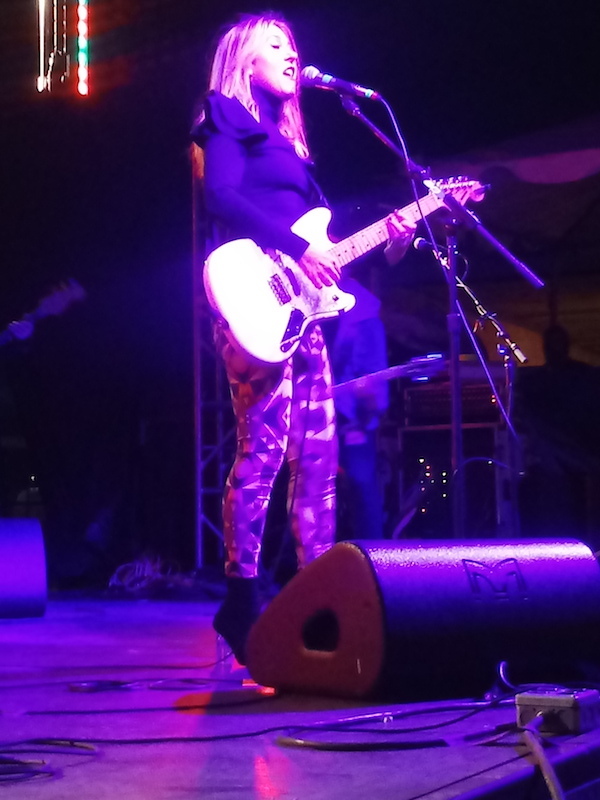 • Twenty-four-year-old Rosie Tucker and her backing band packed the PreFunk Bar with as many people as could fit in the outside patio area — impressive for Wednesday at 7 p.m. Playing short, traditionally structured pop/punk songs, this was just one of a handful of shows they — like many other artists — packed into their Boise visit. • The line outside the Knitting Factory was dishearteningly long for Staples and opener JPEGMafia, who should have landed Main Stage slots later in the festival but were instead relegated to a smaller venue that couldn’t match the genre-busting rappers’ high demand. That didn’t stop JPEGMafia from delivering a searing, muscular 30-minute set, nor Staples from wooing the crowd with hands-in-the-air feel-good cuts and a respectful outro to recently deceased Mac Miller. 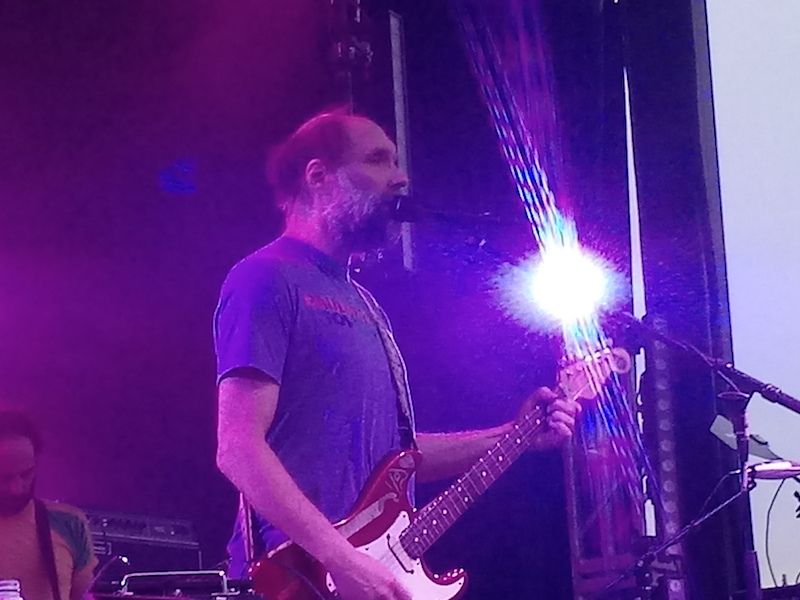 • The following day, Doug Martsch — the only Idaho resident ever signed to a major-label recording contract — christened the Main Stage with his legendary Built to Spill project and its ever-rotating cast. The first half of the set seemed like a soundcheck, with the musicians trying to get a feel for one another, but a 15-minute version of “Broken Chairs” from BTS’ 1999 classic album, Keep It Like a Secret, was outer-worldly. • Another loosely collected ensemble, Black Mountain, took the Main Stage next, delivering droney tunes packaged as tight riffage. 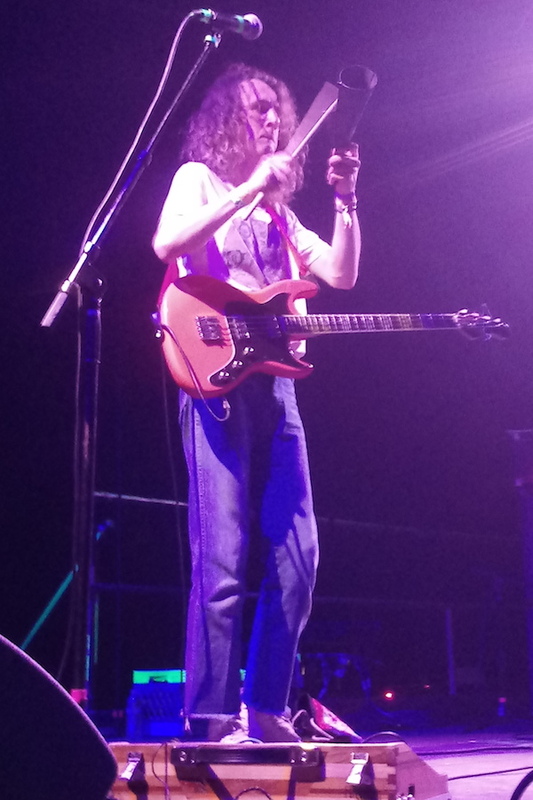 Top-notch melodies and chord progressions had Thursday night’s crowd stepping into their dancing shoes and soulfully connecting with the band’s unique band of tribal rock. 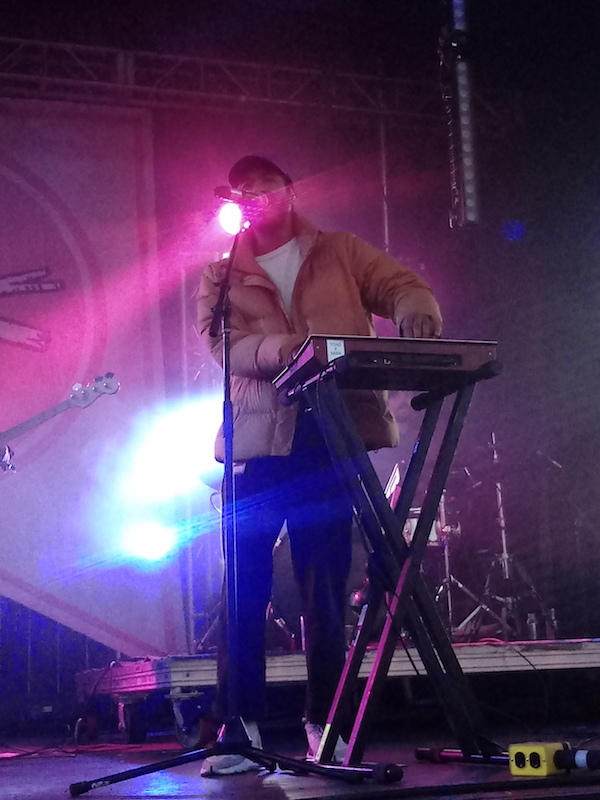 • A few blocks away, ex-*Brainiac* and Enon member John Schmersal ushered his startlingly conventional-sounding indie-pop band, Vertical Scratchers, onto the stage at the Shredder. Turnout was strong, but many of the attendees might have arrived early to witness tireless (and timeless) Merge Records artist Mike Krol play his first show in Boise. Dodging an audience question about a black eye he was sporting, Krol — who had just played SXSW — represented garage rock at its finest. 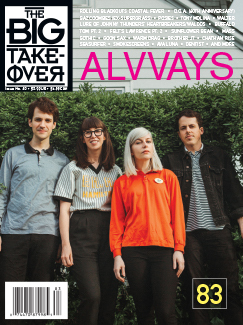 • On Friday afternoon, Seattle three-piece Spirit Award heated up the stage at Boise’s best club, Neurolux, with an afternoon set of British-style post-punk. The . band’s laid-back and upbeat feel was underscored by their lack of guitar heroics and demure stage presence. 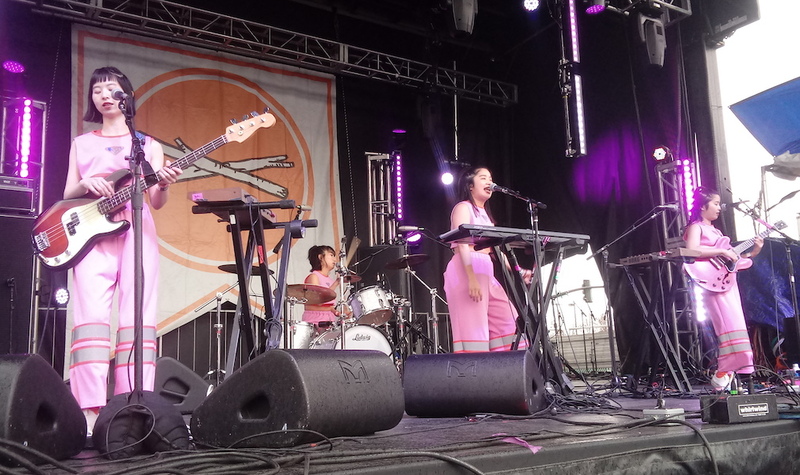 • Meanwhile, Treefort mainstays and Los Angeles-based electronic duo Rituals of Mine, led by singer (and Treefort publicist) Terra Lopez warped the Main Stage with some subversive downtempo R&B. Down the street, a long line had formed for Califone’s set at the Olympic, a ski lodge-style venue that has no business hosting bands. As professional and deliciously drowsy as indie-rock veterans Califone performed, it was virtually impossible for anyone in the crowd to see them perform on the “stage” — essentially an extension of the bar’s floor, with no elevation. • Far more disappointing was Divide and Dissolve, an experimental duo that performed only two songs in the span of about 20 minutes at the Linen Building, another makeshift music venue that probably shouldn’t be. 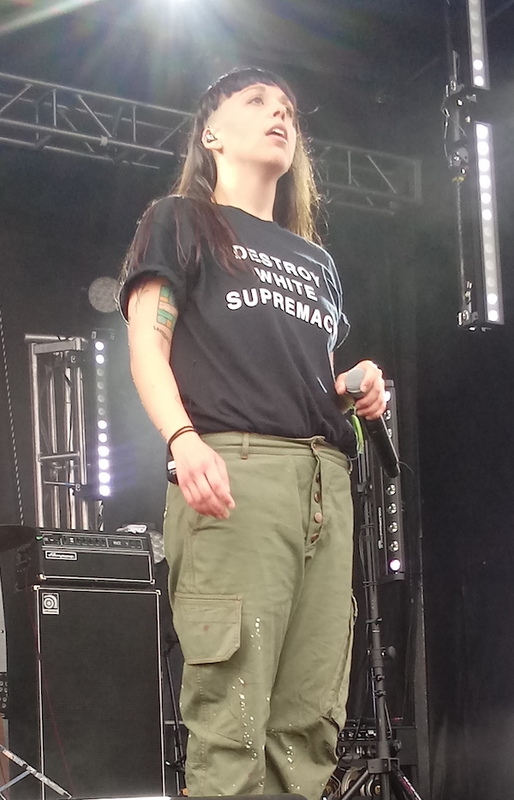 While they railed against racist power structures, encouraged trust fund kids to give their money and land to indigenous people, and condemned slavery and white supremacy, their performance was woefully short of what most people seemingly came for: music. 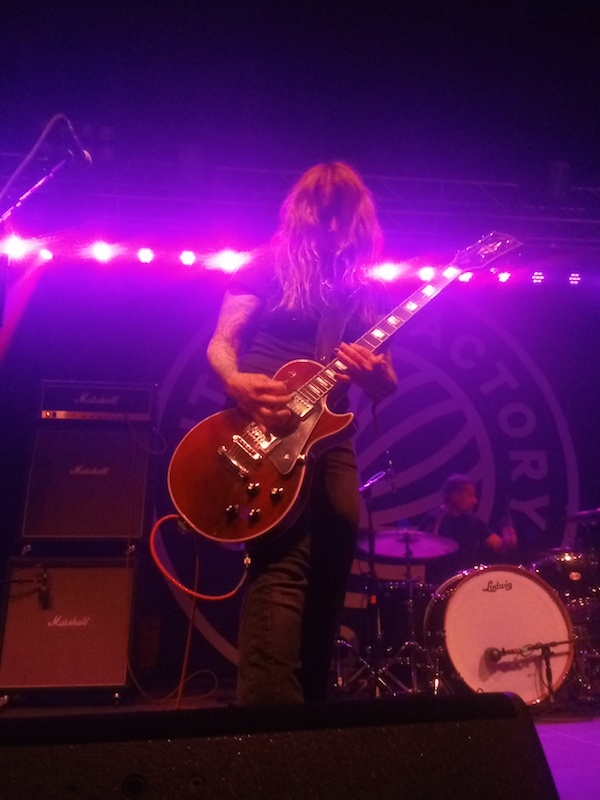 • Gratefully, music wasn’t in short supply at the Knitting Factory, where Portland experimental five-piece WEEED belted out Sabbath riffs, spiraled into guitar freak-outs galore and even pulled off a few somersaults onstage. • A bit later, Yamantaka // Sonic Titan took the same stage for an even more far-out set that featured seven musicians, ample amounts of face paint and performance artistry. 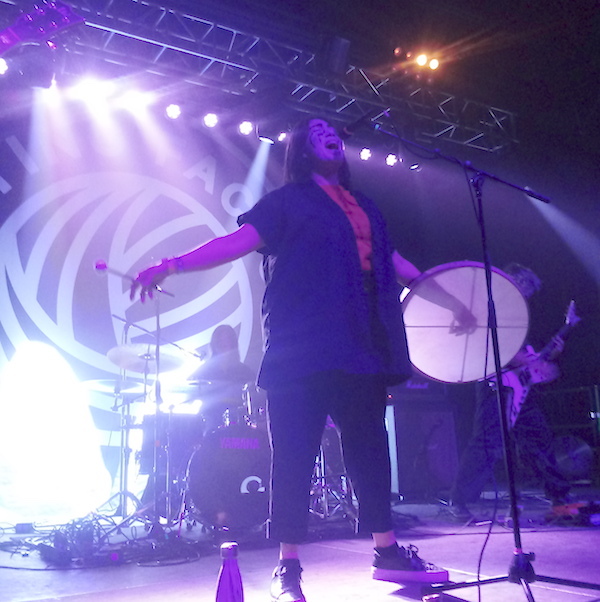 Their unique combination of Asian pop, prog-rock and industrial sounds was as deafening as it was compelling. • Closing out Friday night’s heavy evening at the Knitting Factory, San Francisco sludge royalty Acid King gave one of the best performances of the entire festival with a pitch-perfect foray into doom metal. It was a clinic for the oodles of like-sounding bands spawned after Acid King’s birth in 1993. • Finishing out the night was an unforgettable set by Low at the jam-packed Linen Building. 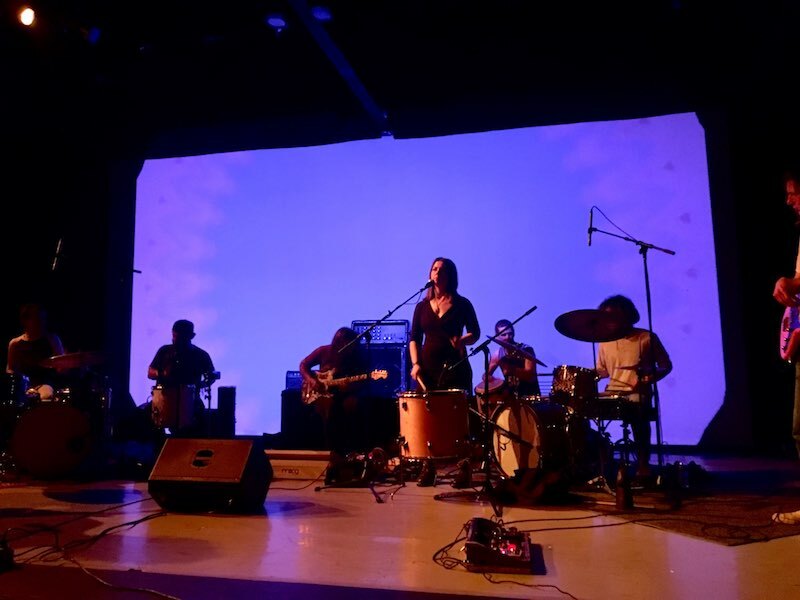 Experiencing a resurgence thanks to last year’s critically adored Double Negative, the Minnesota slowcore pioneers capped the evening with a narcotic performance that will be remembered as one of Treefort’s strongest-ever sets. • Up next, Japanese four-piece Chai brought the main stage from authenticity to novelty and from tears of sorrow to tears of laughter as they gave an arty performance in the rain. Cheery, cheeky and pink all over, Chai had many members of the crowd appearing to love life more than at any other point during Treefort. 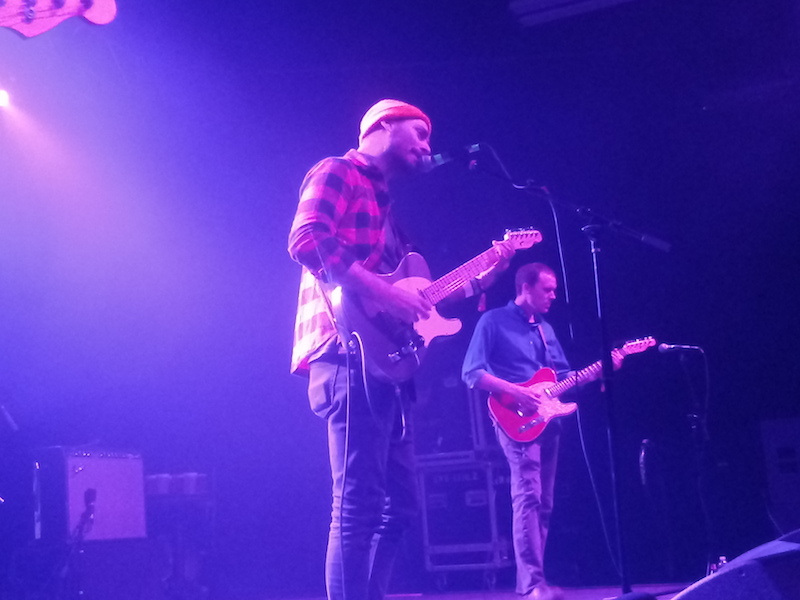 • Saturday night was all about ’90s-era pop punk (ahem, emo), as Tigers Jaw, Mewithoutyou and American Football set up camp at the Knitting Factory. Ample fans of each band sang along to their lyrics, while all three frontman captivated the packed crowds. Next to Low, American Football felt like Treefort’s most relevant rock contribution, with their newly released album receiving rave reviews. 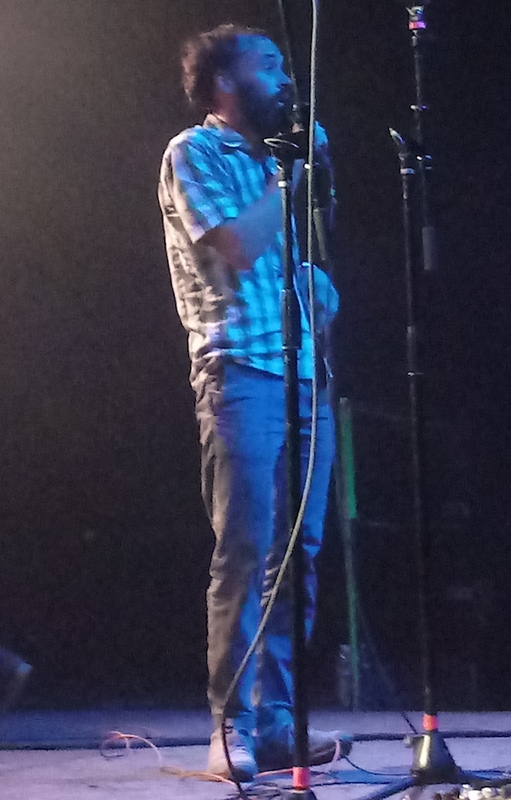 • Also of note on Saturday night: A three-hour (you’re reading that right) improv jam by former Built to Spill guitarist Brett Netson, WEEED and others at the Boise Contemporary Theater. Dubbed “Face-Melt,” the performance was … well, exactly what those who wanted their faces melted were looking for. • Lastly, Chicago metalcore vets Veil of Maya belted out by far the most violent set of Treefort, with at least one moshpit attendee leaving the Shredder with a bloody face and a circle pit going nonstop. With intense lights and fog also filling the venue, the performance was sensory overload — especially at 1 a.m.
• Treefort had a few other decent moments over the weekend — courtesy of Muckers, Sarah Shook and Rubblebucket, among others — but none touched the towering presence of Main Stage closer Toro y Moi on Sunday night. Ten times better than hypnagogic pop peer Ariel Pink, Chaz Bear promised the crowd “It’s gonna get funky tonight!” … and it did. Employing chimes, maracas and other instrumentation, Toro y Moi’s set was diverse but never too busy, retro but current and — in a word — natural. 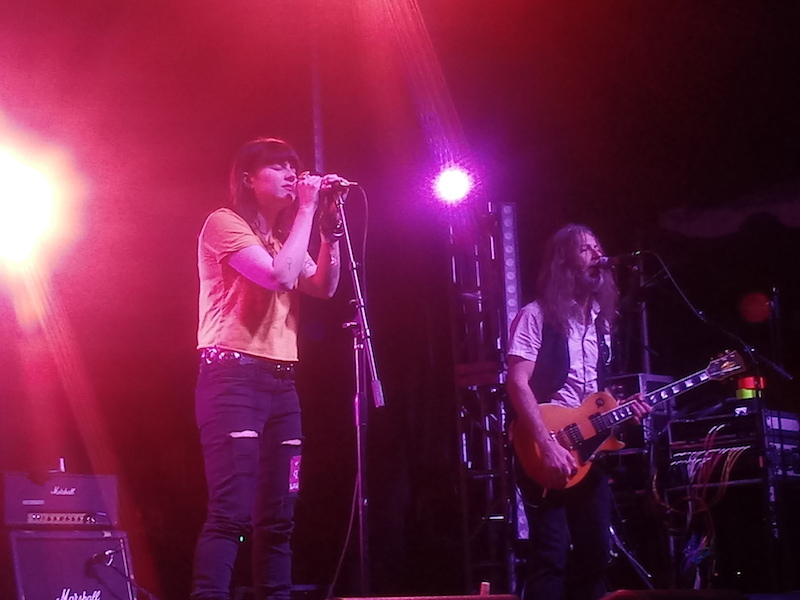 With the sun setting about midway through the performance, it was a fitting way to say goodbye to Treefort Music Fest 2019, even if other bands would continue performing into the wee hours.